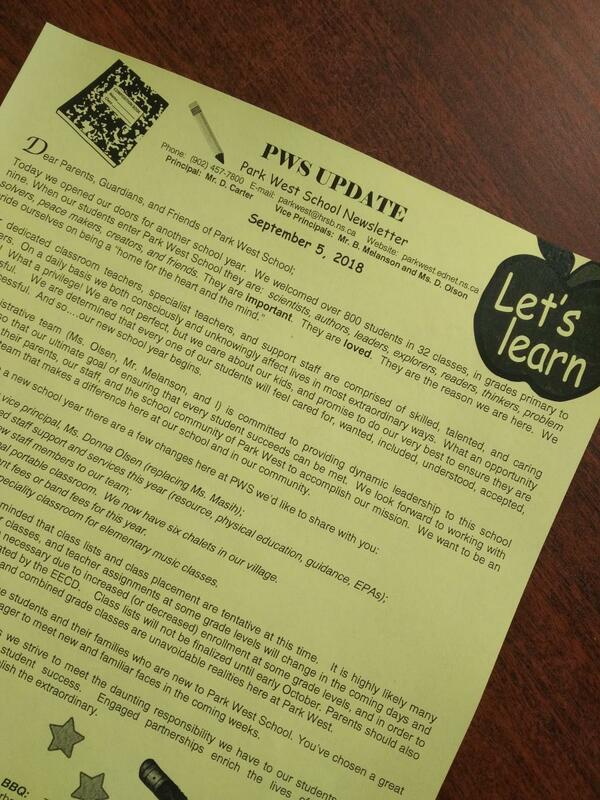 Our school newsletter, PWS Update, is published approximately every two weeks. It will be the only item sent home from school printed on yellow paper. Printed copies will be sent home with the youngest student in each family. It will be posted on the school website. You may also wish to receive it electronically via e-mail. We urge you to read each edition thoroughly and to keep past issues for reference. Here at Park West we value good communication. We are striving to keep you informed and engaged.